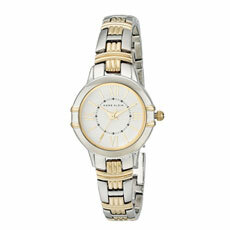 Here’s a lovely watch that will brighten up any ordinary ensemble. 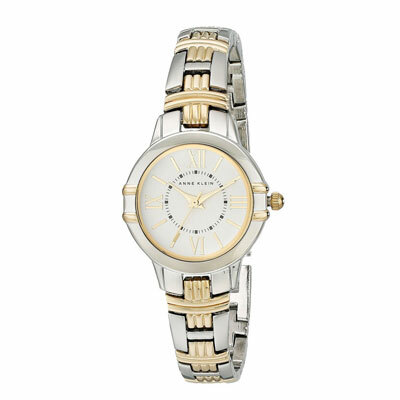 This Anne Klein timepiece features a silver tone dial with gold tone hands and markers. It has a two tone adjustable link bracelet with a jewelry clasp lock. This watch comes with an Anne Klein presentation box, an instruction manual and 1 year store warranty.